Finding out that you require one or more teeth to be extracted due to damage or decay can be a traumatic feeling. Not only can you expect to have your ability to bite, chew and even speak properly compromised, but you may also find that a gap in your smile has an effect on your emotional climate. In an era when a beautiful and complete smile is considered a hallmark of happiness, attractiveness and success, missing teeth can cause feelings of embarrassment, low self-esteem and shamefulness. Many patients who feel this way about their smile find themselves making compromises on their lifestyle in a bid to avoid showing their teeth as much as possible – such as ducking out of photographs, refusing to eat in public and changing the way that they speak so that they do not draw attention to their teeth. Restorative dentistry offers patients the opportunity to regain the full use of their teeth once more, which in turn gives them the benefit of a full smile. While there are many different types of restorative dentistry available, a dental bridge has long been considered one of the best solutions for teeth that have fallen out or require extraction as a result of damage or extensive decay. Prosthetic teeth. These are normally made from porcelain or porcelain fused to metal (PFM) crowns that are custom designed to ensure they fit perfectly and comfortably, and look just like natural teeth. Abutment crowns. These are used either side of the prosthetic tooth and sit over the top of the healthy teeth there, anchoring the bridge securely in place. Although these can be made from metal, many patients are now choosing for their entire bridge to be created in color-matched porcelain, which ensures the device is extremely discreet. Teeth that are shifting to take advantage of the space in the mouth. Teeth that need better alignment so that you can close your mouth, bite, chew and speak properly. A face and jaw line that is lax and drooping. This is because a dental bridge can restore definition to the shape of your face. 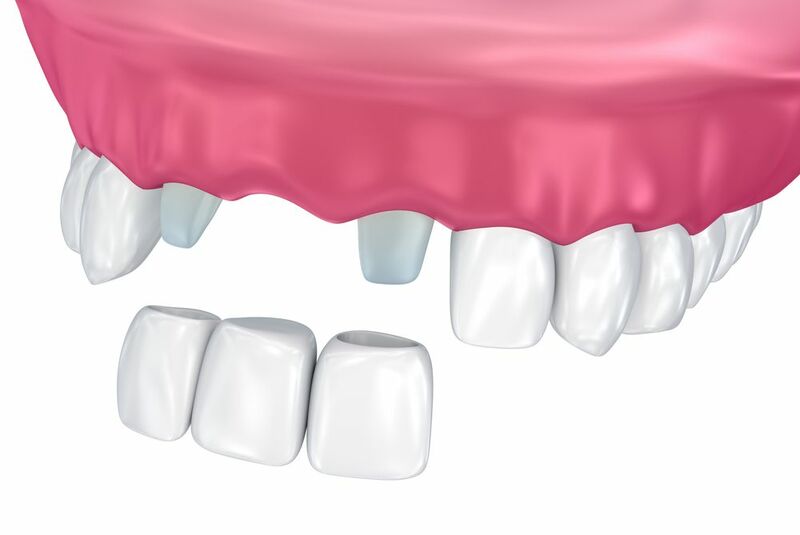 Unlike dental implants, bridges are a relatively inexpensive way of replacing missing teeth. You can have a dental bridge even if you have low density jaw bone, or are otherwise unsuitable for dental implants. Thanks to improvements in the materials used, dental bridges are now more discreet than ever before. Only two visits to your dentist will be required to fit a dental bridge. This saves you from taking extended time away from work. With the right care and attention, dental bridges can last a long time, making them a good investment in your long-term health. If you are missing one or more teeth from your smile and are frustrated by compromises that you may find yourself making to keep your gaps under wraps, a dental bridge may be the ideal solution. Make an appointment at Dr. Donald Cadle, JR in New Port Richey, FL today to discuss your options and take the first step to achieving a new and improved smile.